It’s so much fun to create mischief. Especially when it’s around a topic of the day. Think Fallon or Ellen – that’s what they’re doing all the time – inserting their sense of humor into a Hot Topic listeners are either talking about or aware of. 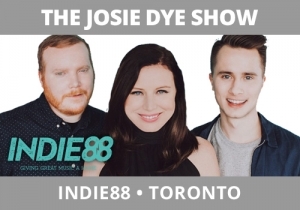 Enter The Josie Dye Show with Matt and Carlin, Indie 88, Toronto, who deftly took the topic of the Super Bowl and created some drama by calling people in the New England area, introducing themselves as being a representative of their cable company, and telling them that there would be no TV service Sunday evening between the hours of 5:00-8:00pm, right when the Patriots are playing. This was a fantastic concept on paper, easy to comprehend by the audience tuning in, very well executed, and garnered some classic reactions by Patriots fans expecting to see their team win their sixth Super Bowl.